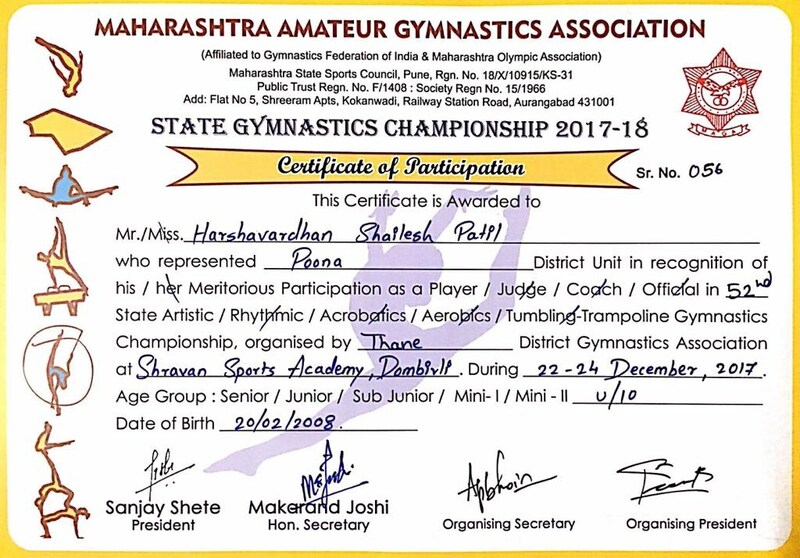 Maharashtra Amateur Gymnastics Association held the 52nd State Artistic Gymnastics Competition and was organized by Thane District Gymnastics Association in Dombivali, Thane during 22-24th December 2017. 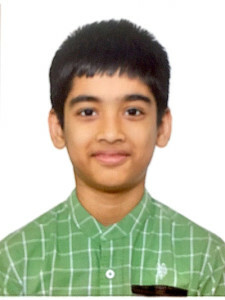 Master Harshvardhan Shailesh Patil, resident of Iris, Magarpatta City, Pune qualified and participated in this competition in Mini II / Under 10 group. He has been trained at Bendre’s Gymnastics Club at Iris.